SCROLL DOWN TO SEE OUR ENTIRE TEAM! 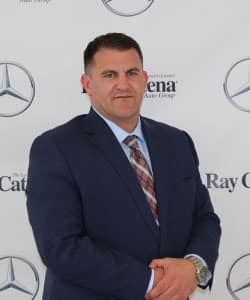 I take great pleasure in conducting business with over 30 years of sales, management, strategy, product development, delivery and operational experience in the automotive industry. 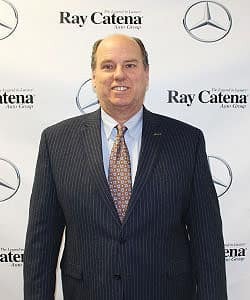 I started selling cars in 1983 then made the switch to this Ray Catena establishment and the Mercedes-Benz brand in 1989. 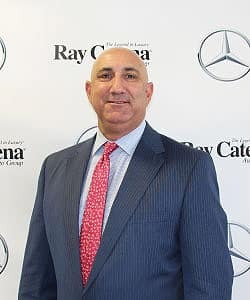 I’ve always vowed to continue to practice the “Ray Catena Way”, going great lengths to create long term relationships with clients, building trust through honesty, and gaining loyalty within the company. My passion for what I do comes from the drive of my loving wife of 17 years, as well as my beautiful daughter. Outside of business, I enjoy my time off by boating, golfing, and drinking fine wine with family and friends. 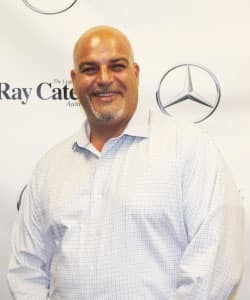 I pride myself in having a great relationship and reputation in the industry, with clients, and with peers. 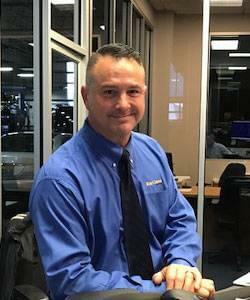 Thank you for choosing our dealership to handle your vehicle needs. 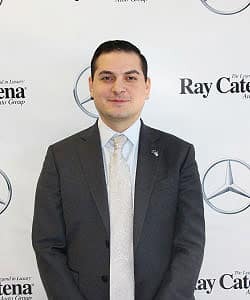 My name is Anthony Marino and I am the one of the managers here at Ray Catena Mercedes-Benz of Edison. 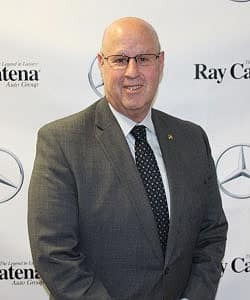 I joined the Ray Catena organization in 2010, and have had the opportunity to work with a great group of people over the years. 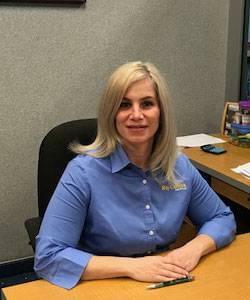 We have a strong team that will go above and beyond to ensure that your sales and service needs are met. I am always giving advice to our team members, and motivating them to grow within this wonderful industry. I have built a reputation as a progressive person who is willing to try new things and new technologies. 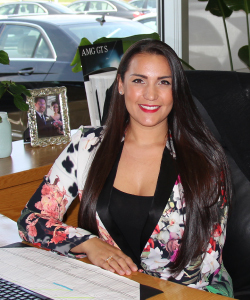 My willingness to adapt to change helps ensure that our dealership remains up-to-date and provides every client with accurate information and access to the best products. 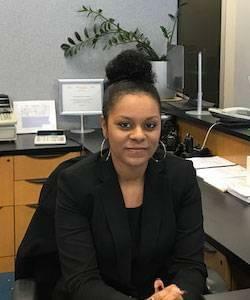 Outside of the dealership, I love to spend time with my family and friends and I love to travel. I am a St. Johns alumni. Overall, I’m a down-to-earth guy who is easy to talk to. 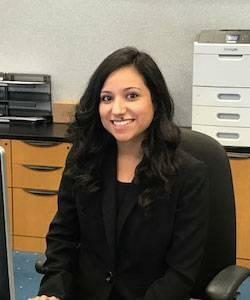 I am very understanding of people’s situations, and I will go above and beyond to help. 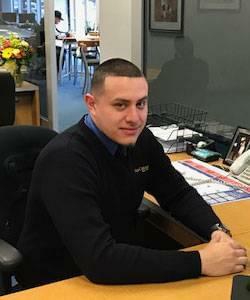 Stop in today and allow our team to help you find exactly what you need while providing you with world-class service. 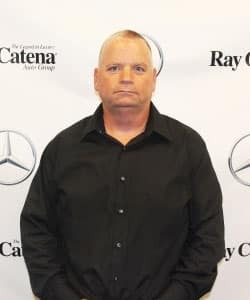 I have been in the Automotive Industry for 30 years. 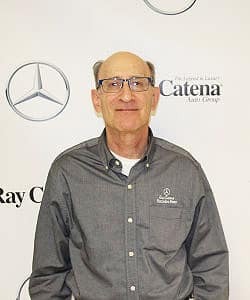 Thirteen of them have been with Mercedes-Benz, the last 7 with Mercedes-Benz of Edisonoration; the best. 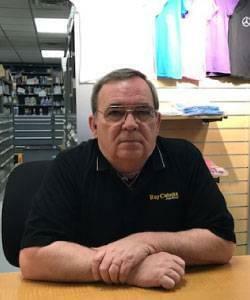 I am a Master Certified Salesperson, however, my forte is customer service. 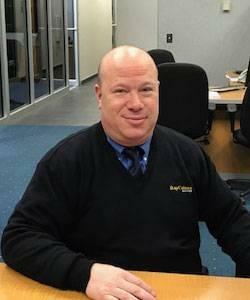 Helping the customer choose the right vehicle for their needs and helping them through the entire process. When I’m not at work, my greatest pleasure is family. Especially, my two very special grandsons. 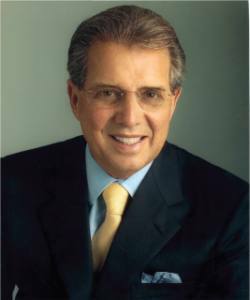 Hi, I am Barry Martin. 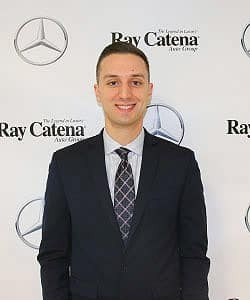 I’m happy to be here at Ray Catena Motor Car , representing the most recognizable luxury brand, Mercedes-Benz for 20 years. 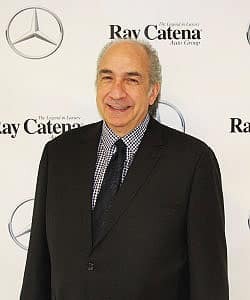 Hello, my name is Robert Gold and I have had the privilege of selling Mercedes-Benz vehicles at Mercedes-Benz of Edison. 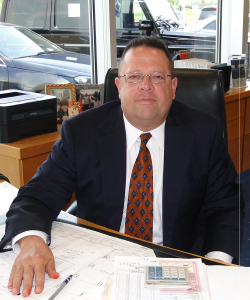 in Edison, New Jersey for more than 30 years to three generations of clients. 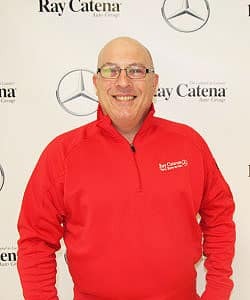 In my off time, I love to play golf and drive my Mercedes-Benz throughout the countryside. 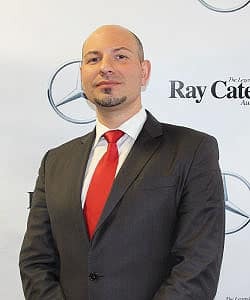 It would be my pleasure to acquaint you with all the luxury and safety that these beautiful cars have to offer. Please contact me for an appointment! 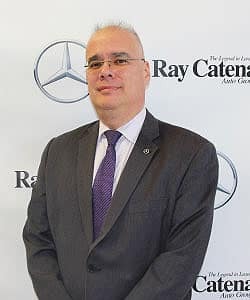 I am proud to say that I have worked for the Ray Catena Motor Car Company since November 2010, currently working with the Mercedes-Benz and smart brands. 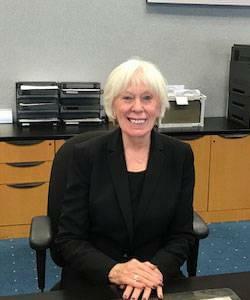 Working together to ensure a convenient and enjoyable car-buying experience is is a priority, second only to the client’s satisfaction and happiness with their new car. 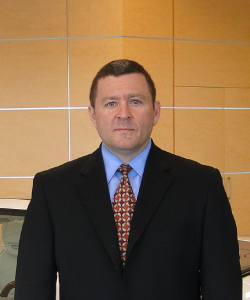 Feel free to contact me directly for help with your automotive needs ! 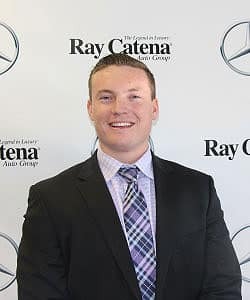 Hi, my name is Damian Yodice and I have been in the automotive business with Ray Catena Auto Group for over 5 years now. 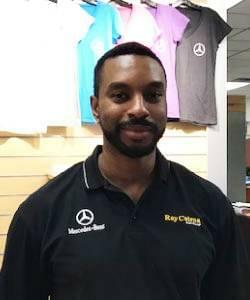 Extensively educated and trained in the Mercedes-Benz brand, I am the person to turn to for any of your vehicle/performance questions and needs. 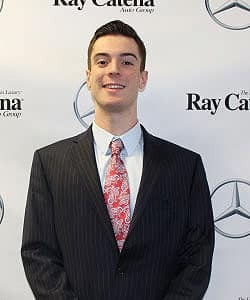 I’d be happy to be your first point of contact for your next Mercedes-Benz! 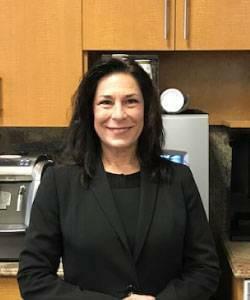 Please feel free to contact my direct line at 732-549-0001. 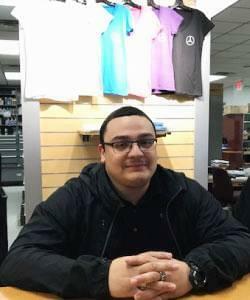 Hello, my name is Gregory Giordano. 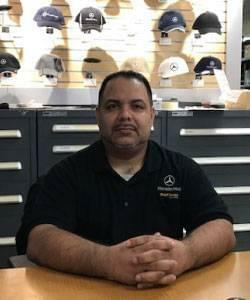 I’ve been in the automotive industry for 17 years, 12 of them here at Mercedes-Benz of Edisonoration. 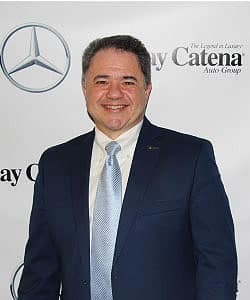 I am proud to have worked with and followed in the footsteps of my father, Ken Giordano, who has now retired after catering to customers for 20 years at this very same organization. 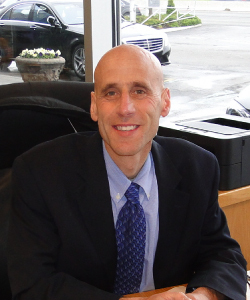 Just as my father, I don’t consider myself a typical car sales person. The customer has always been my main priority and I take great pride in assisting them. 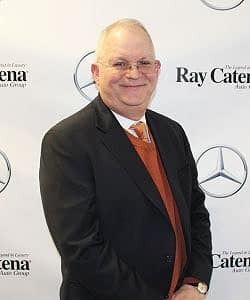 I’m an honest man that wants to do the right thing for Mr. Catena’s guests. Away from work, I love playing golf with my son. Hello, my name is Jack Goldberg. 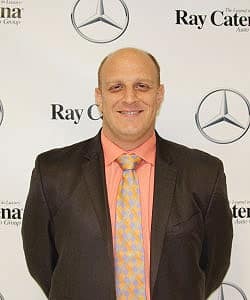 I’m happy to say that I’ve been with Mercedes-Benz of Edisonoration for the past 20 years. 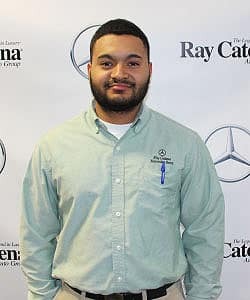 Working for this company and helping as many people as possible to find their perfect vehicle is why I can see myself being here for the next 20 years. 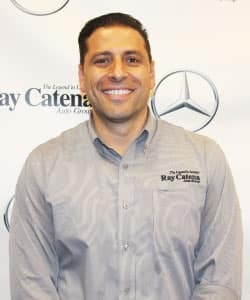 After 14 years with Mercedes-Benz, I have learned that selling the best automobile in the world makes the sales process much easier But what really sets up the tone is providing excellent Customer Service. 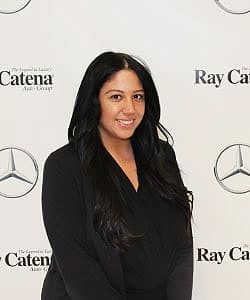 At Mercedes-Benz of Edison., we make our customers become our family in our state of the art facility, where we will take care of your automotive needs and establish a long term relationship. Hello, my name is Paula Gaillard. 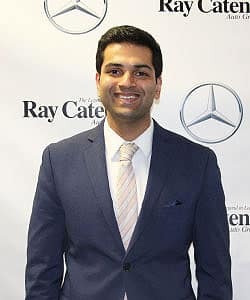 I am a sales consultant for Mercedes-Benz of Edisonoration in Edison, New Jersey. 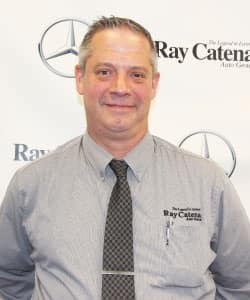 I have worked for Mr. Catena in this Mercedes-Benz dealership for over 11 years now. The one thing I love most about my job? 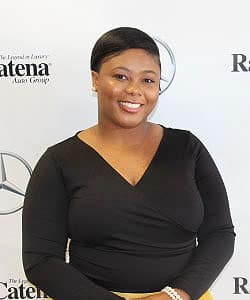 It’s the look on my client’s face when I hand them the key to their new Mercedes-Benz; their dream car! 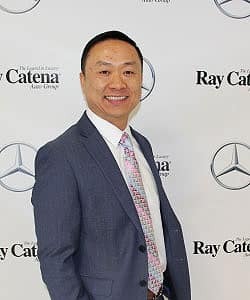 I have been with the Ray Catena organization for about 13 years in various aspects of the business—starting out in our prep center checking in cars to being a product concierge. 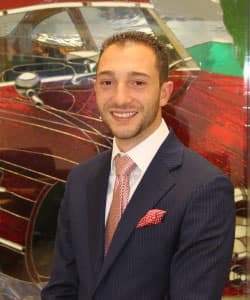 Eventually, I graduated into a Sales & Leasing Representative, helping customers find their dream car for the past 9 years. 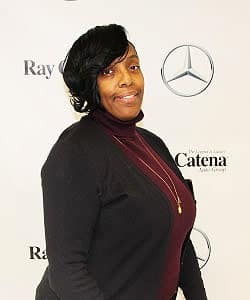 I have worked in both our Edison and Union locations, servicing the needs of our clients all over the tri-state area. In my spare time I enjoy playing golf and hockey. I am an avid Boston Bruins fan. 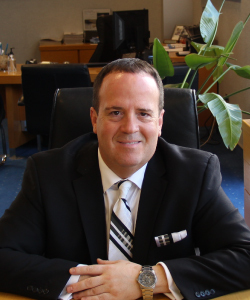 I have met many wonderful people through the years and look forward to meeting you next! My only objective is to make all my customers feel special throughout their entire ownership experience. 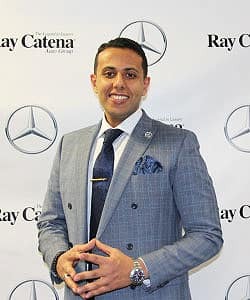 They are purchasing or leasing the best automobile in the world and they will be treated with the best service in the world. They are the most important person to me, and I am thankful to be able to help them get their very own Mercedes-Benz. I will be with them for the entire ownership experience. I will handle all their service and maintenance needs. I will be the one who arranges the appointments and sets up the loaner car whenever they may need it. 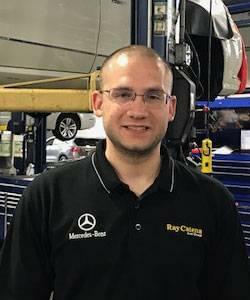 I am there for them from the moment we meet, for anything they may need relating to their Mercedes-Benz, and I am grateful for it. Hello, my name is Vincent Peluso. 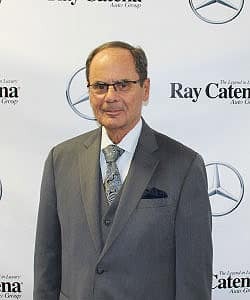 I started selling Mercedes-Benz automobiles in 1979. 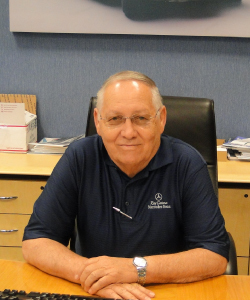 Since then, I have helped thousands to find the “right” model at the “right” price for nearly 40 years. 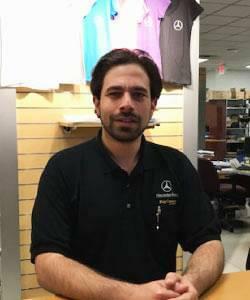 Now, my son Vincent Jr., is here at Mercedes-Benz of Edisonoration, doing the same for his customers. 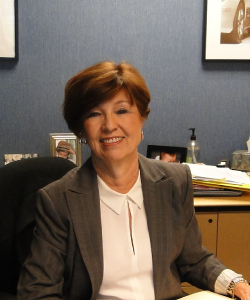 We are both happy to earn a customer’s trust and business in a professional and transparent manner. 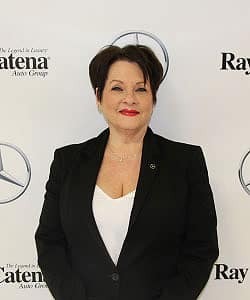 I believe in Mercedes-Benz. 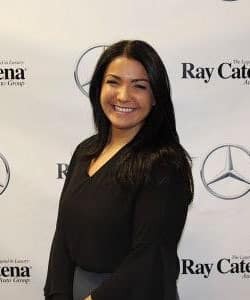 — As a Sales and Leasing Representative at Ray Catena Mercedes-Benz of Edison, I use my combined knowledge and passion for this product to help my clients make the right choices while also working hard to provide a hassle-free car buying experience. 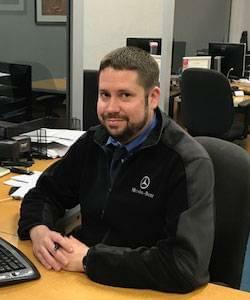 I don’t just want to “sell cars”. 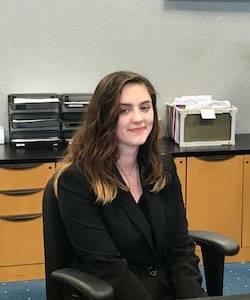 I’m looking to build relationships, and I pride myself on placing customer service above all else. 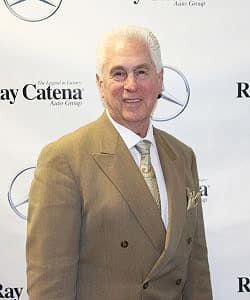 That principle is what laid the foundation for the Mercedes-Benz of Edisonoration, and it’s something I will always stand behind. 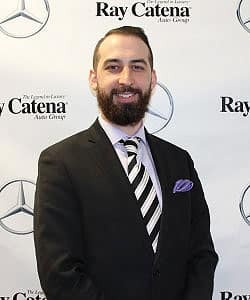 Please do not hesitate to reach out to me with any questions you might have, and know that I welcome the opportunity to earn your business someday! 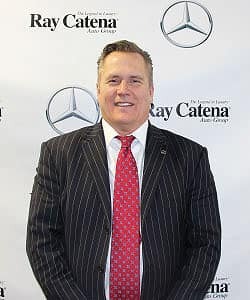 I started in the automotive industry in 1988 and was lucky enough to join the great Ray Catena Motor Corporation in 2015. 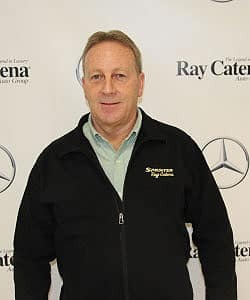 I don’t want to just sell Sprinter and Metris Vans, but build a relationship by finding the right vehicle for my customer’s wants and needs, the “Ray Catena” way. Hello, my name is Irene Miller. 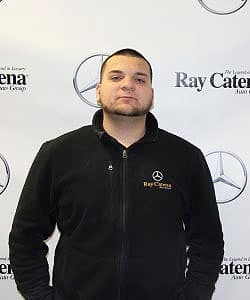 I have been in the automotive industry for over 5 years now. 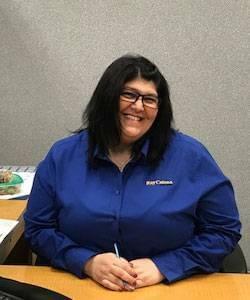 As a first point of contact, my goal is to create and maintain a lasting relationship with the customer. 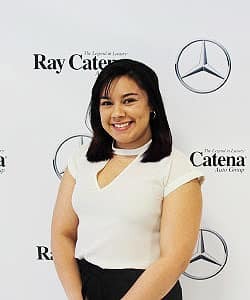 I am eager to bring my experience to Mercedes-Benz of Edison. and start the next step of my career with such an established company. If you don’t have a plan, you plan to fail!